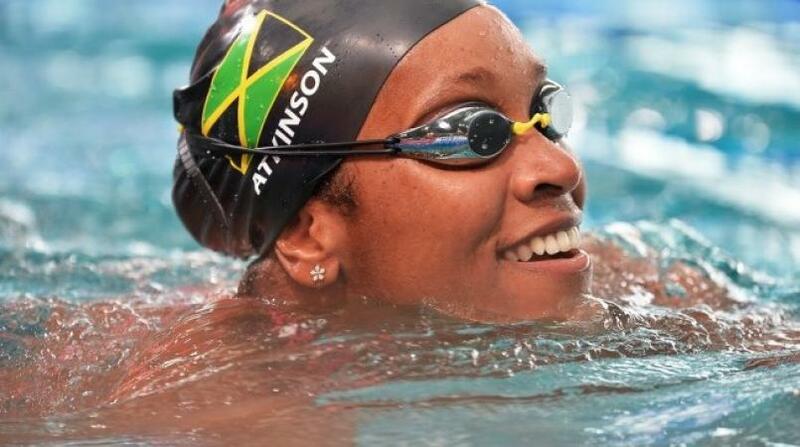 Jamaica's swimming sensation Alia Atkinson. Jamaica's swimming sensation Alia Atkinson smashed her meet record twice in the women's 100-metre breaststroke on her way to gold on the second day of the 23rd Central American and Caribbean (CAC) Games in Barranquilla, Colombia on Friday. The Olympian won the event in a new meet record 1:06.83 to hand Jamaica its first medal at the Games. The previous Games record was 1:10.24. Atkinson touched the wall well ahead of the Mexican pair of Rodriquez Villanuev, who took silver in 1:07.80 and Esther Gonzalez Medina, who finished third for bronze in 1:10.60. The Bahamas duo of Lilly Higgs (1:11.32) and Laura Morley (1:12.34) placed fifth and sixth respectively. On her way to gold, Atkinson got her customary bullet start and gave the field too much to handle with a split of 30.85 for the first 50 metres. After an excellent pullout she also turned in the best last 50 metres of 35.98 to ensure that the CAC Games record remained in Jamaica. The victory represents the third title for Atkinson in the event at the CAC Games following gold medals in 2006 and 2010. 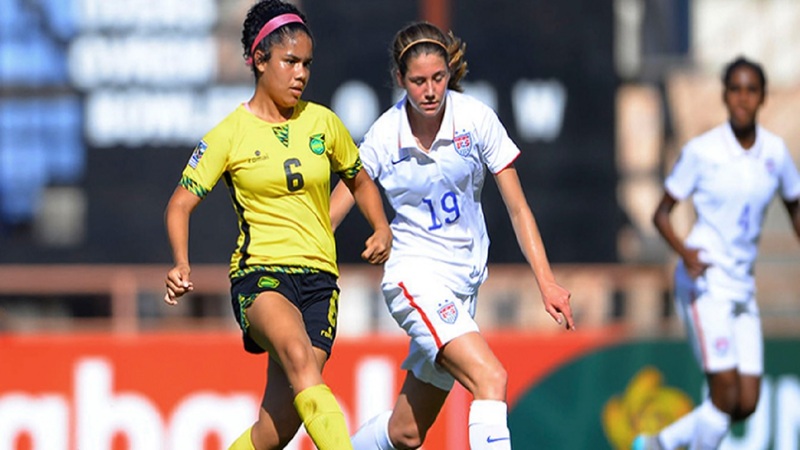 She remains the only woman from the CARIFTA region to medal in the event. In the morning session, Atkinson had broken the meet record after finishing second in her heat with 1:08.00. Villanuev had won the heat in 1:07.99, also under the meet record. Villanuev had gained the early advantage then with a split of 31.28 to Atkinson’s 31.32. So the setting was clear for the final as it would be between the two. Meanwhile, Keanan Dols as well as the 400-metre mixed medley relay team established new national marks. In the morning heats of the 400-metre mixed medley relay, the quartet of Dols, Atkinson, Luke Gunning and Emily MacDonald established a new national mark of 4:02.47 to qualify for the Championship final. In leading off the team with his backstroke leg, Dols dipped under 56 seconds as he clocked 55.78 to lower the mark of 56.15 set by Olympian Timothy Wynter at 2016 Caribbean Islands Swimming championships. It automatically qualifies him for the 2019 PAN Gams and was just off the CAC 10- metre backstroke Games record of 55.48. The team clocked a faster time in the with 4:01.90 to place fifth. Dols qualified for another Championship final - the 200 metre butterfly event. He qualified for the medal race with a new personal best of 2:01.32 (split time of 58.06). In the final he placed eighth in the second best time of his career of 2:02.41. Gunning had clocked 2:03.23 in the heats to qualify for the B final where he ended fourth in a time of 2:03.64.